To be honest, I haven’t found a bronzer that is my Holy Grail bronzer. Still on the lookout for that one, I’m contemplating getting the Clarins Splendours Bronzer when it arrives in South Africa. You’re relaxing in a hammock, on a tropical island. What are you sipping on? Ooooh, definitely a Piña Colada! Hhhhmmm tough one, definitely a gloss. Probably any of the NYX Butter Gloss lipglosses (mentioned in this blog post), but if I had to choose just one, I would probably choose Peaches & Cream. Beach. But only because it probably means I’m on holiday somewhere. I’m not someone who likes tanning (be it by the pool or beach), I also have an intense fear of swimming in the ocean. I do, however, love the sound and smell of the ocean. Summer = crazy hair! What’s your must-have styling product? Moroccanoil Treatment Oil in Light. Fake tan. I don’t like tanning in the sun but I also don’t fake tan religiously. This Summer, however, I really want to try out various self tanners because I’m way too pale at the moment. Another tough one! I could never choose… If I absolutely HAD to choose, then I would probably go with Essie Fiji but only because it’s such a universal shade and can be worn with any outfit / accessories. I think if I chose a specific colour like a turquoise or purple shade, then I would get tired of it too soon. No traditions really… Eat lots of ice lollies? YSL Baby Doll – it’s so fresh and girly. In South Africa we call it braai food. Lemon, garlic & rosemary marinated lamb chops, some type of potato bake (or potato salad), definitely a green salad, some steamed mealies and a fruit salad for dessert. A BB cream or mineral foundation. I use a BB cream during those times when it gets extremely hot here in South Africa. I recently discovered the magic of a mineral foundation (review here) and I know it’s going to be a firm favourite this season. A powder foundation gives enough coverage with the added benefit of being somewhat sweat-proof. On those above-30-degrees-celsius days I honestly can’t be bothered applying a heavy foundation that is 1. only going to slide around on my face, and 2. cake up. We are on holiday in Cape Town as you are reading this! And then a bit later in the year (or even perhaps in the new year) we will go to Karkloof for a weekend away. I tag anyone who is interesting in doing this tag! I haven’t found a good bronzer for my skin tone either, they either look too orange or just not right. I love Essie’s Fiji! Ir definitely is a universal shade. I used nothing but BB creams during our summer, we have horrible heat in Texas! 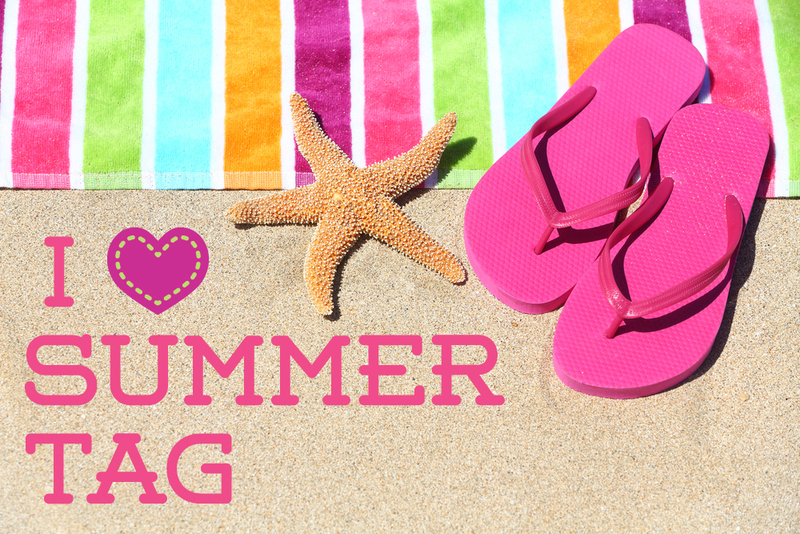 We’re also entering summer season here and if I had a blog, I woukd definitely do this tag! All you do is copy the questions over to your blog, and answer them! That’s it! 🙂 And then mention you were tagged and tag specific people or tag anyone who feel’s they want to do this. Thanks for the inspiration – I did one too! I’m glad you use a sunscreen when tanning in the sun, it’s very important. Good luck with the Ironman – wow! Off to Plet for our annual holiday on the 7th of December. My parents are also going. Sooo looking forward to ride my bike in the Knysna forrest every day…. We won’t be going anywhere this December, I don’t think. Will rather go to Karkloof in the new year – you guys ever been to Karkloof?